It is the goal of Country Village Montessori School to provide a safe, clean and happy environment for the children and to support them in their social, cognitive, emotional, physical, and psychological growth during their stay with us. We will endeavor to adhere to the American Montessori Society's code of ethics and provide a Montessori classroom of materials and instruction for children between the ages of 2 and 9 months and 9 years of age (or upon entrance to fourth grade). We will continually strive to keep pace with the rapidly growing bodies of research in the field of Child Development while validating and advocating Maria Montessori's theory of child development. As adults in the environment, we will model standards of grace and courtesy to each other as well as actively promoting peace between children. Respect is our watchword. We respect ourselves, each other and our environment. Our creed will be to "follow the child" as Maria Montessori expressed so eloquently because this is their environment, their school, and their Children's House. 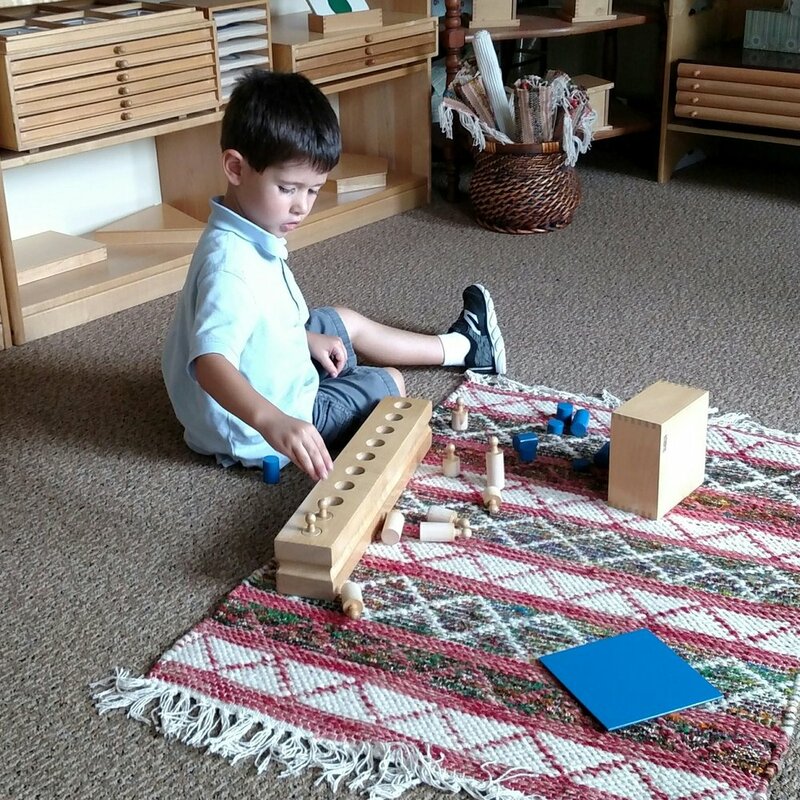 The Montessori environment provides the child with a structure that allows for freedom within limits and offers developmentally appropriate activities to aid the child in his/her cognitive development. 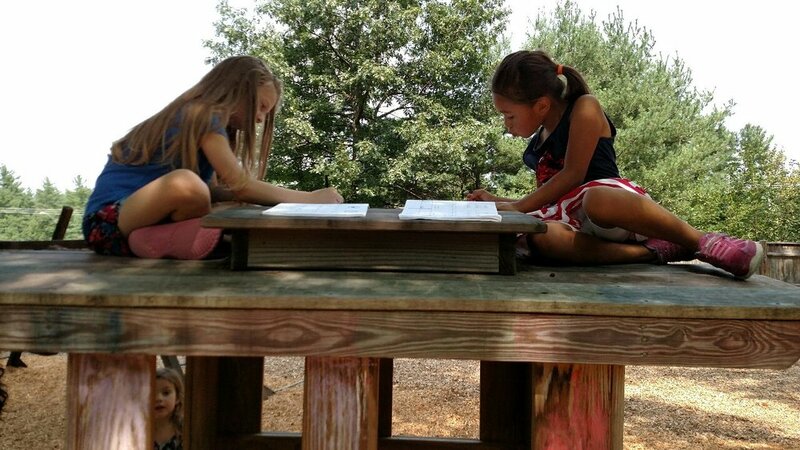 Movement and active involvement with the learning environment, rather than dependence on adults for constant direction, fosters patterns of concentration and perseverance in the child. Skills are presented which teach children how to learn which encourages them to be self-motivated, competent learners. Country Village Montessori holds an American Montessori Society Affiliation and is approved by the State of New Hampshire as a non-public school. We can serve children from the ages of 2 years 9 months to 12. We have two classrooms; one, for the ages of 3 to 6 with a full day kindergarten; the other, a mixed age grouping of 6 through 12 year olds. We refer to the classes as, “The Children’s House” and, “Elementary”, respectively. To be an affiliate of The American Montessori Society each lead teacher has to hold the correct certification for the grades in which they lead teach. Admission to the school does not depend upon prior Montessori experience. 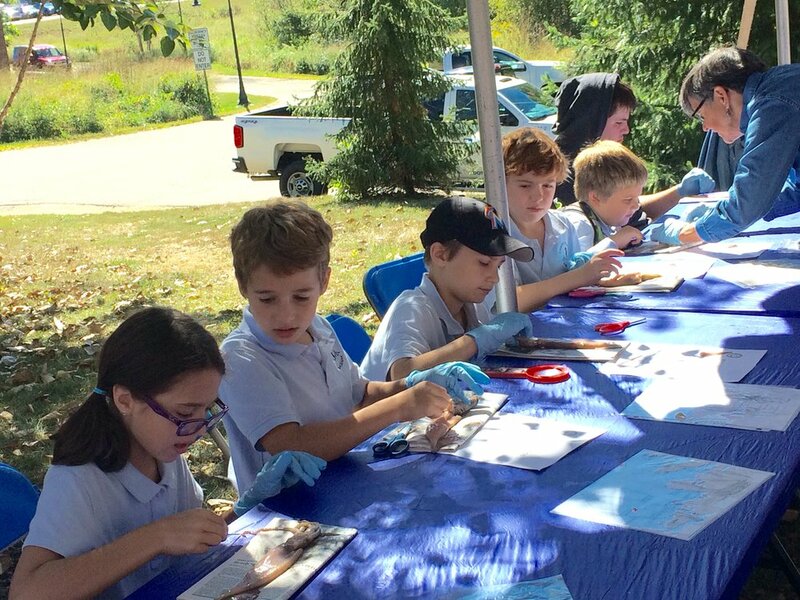 WE welcome students of any age to matriculate with or without attending CVMS or any other Montessori program. We do not discriminate. We are approved for 24 children in the Children’s House classroom and 16 in Elementary. Our teacher student ratio is then 12:1. In the years we have a student teacher the ration would then be 8:1 In Elementary we also have 2 teachers. This ratio is 8:1. 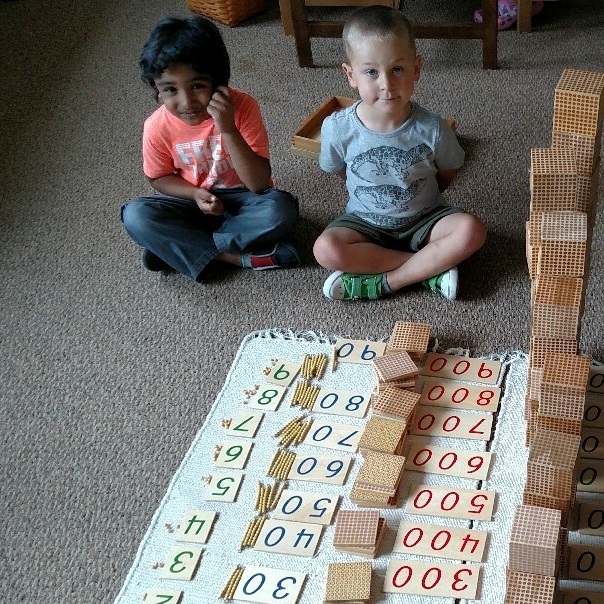 The Montessori curriculum is incredible in its depth and breadth. What makes the curriculum a “fit” for most children is that it also is developmentally supportive of the child in each stage of development. We find that social skills training is needed to help the child successfully access their individual learning styles while also learning and practicing the art of collaboration - a skill needed for life. Managing one’s emotions are also learned, modeled, and practiced. Together with socially appropriate practices control of one’s emotions are truly needed to access higher cognitive functioning. To promote health, increase coordination, balance and strength, elementary students attend out-of-school classes for soccer, yoga; ice skating, swimming, skiing, ice-skating or dance. These classes rotate one afternoon a week for 6 to 8-week sessions. The School conducts an annual food drive called Basket of Hope to benefit SHARE Outreach. The drive commences in November in conjunction with the Thanksgiving season of and continues through the school year. We promote civic mindedness and stewardship of the earth. We encourage reduction of waste produced by lunch through use of cloth napkins, placemats and reusable silverware from home. Reduce, reuse, and recycle! Country Village Montessori School is a full member of the American Montessori Society (AMS). All classroom lead teachers must hold Montessori credentials in the level(s) they are teaching. The credentials must be issued by an AMS, AMI, NCME, or other Montessori Accreditation Council for Teacher Education (MACTE) accredited program. 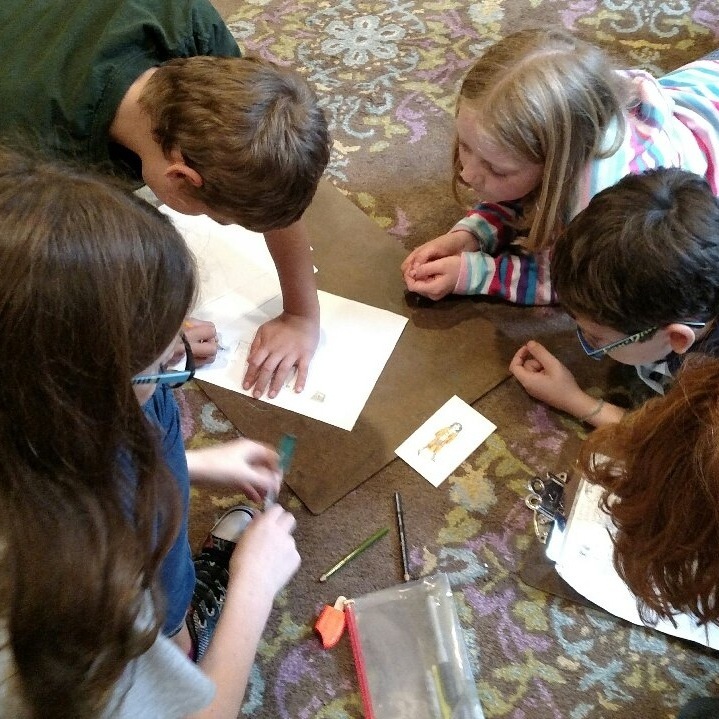 The elementary program is licensed through the New Hampshire Department of Education as a non-public school for grades k-6.